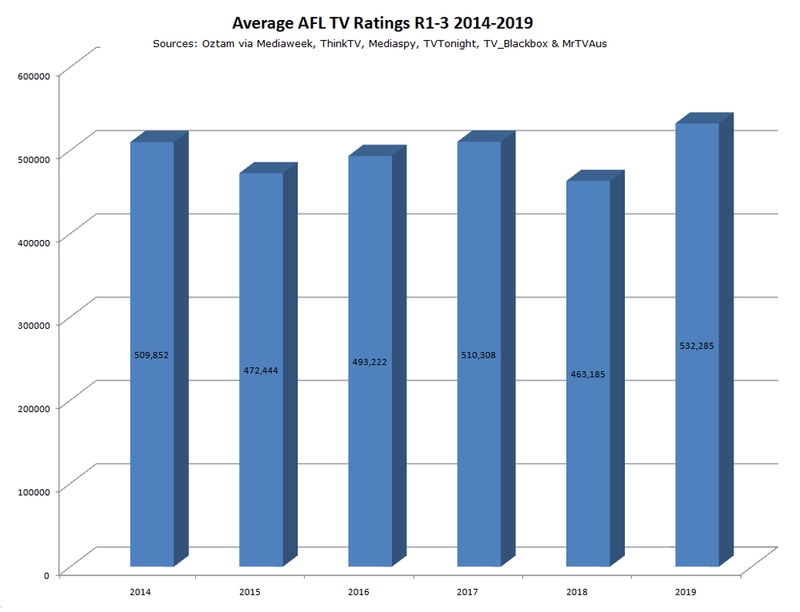 In a weekend where Married at First Sight dominated TV discussion, Seven won its first week of the year on the back of 3 consecutive nights of excellent AFL ratings, as the AFL season sets a record pace. The NRL had a good weekend, with an excellent Sunday showing on both Fox and FTA while Australia Super Rugby held steady and the A-league continues its downward path. 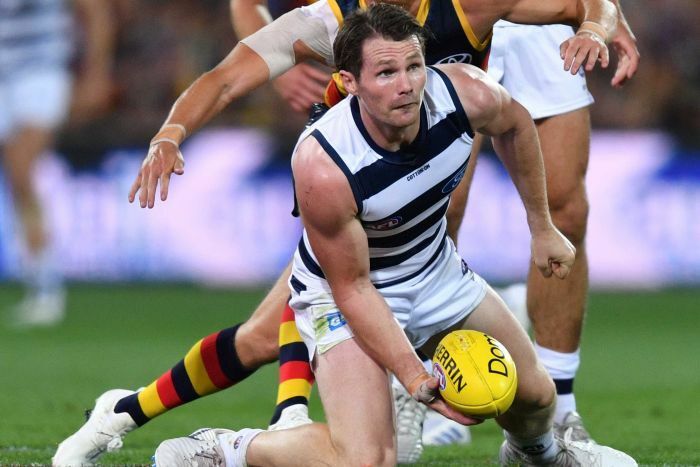 The Top rating matches this weekend was Thursday nights AFL which pulled in 1,124,000 viewers. Thursday also proved a winner with the NRL and scored 942,000 viewers. Friday night was Unions big night with 52,000 watching Reds v Stormers, while the top rating A-league game was on Saturday night with a combined audience of 64,000 viewers. The AFL rated 2.27m in the Metro ratings area. Audiences in Sydney (+18%), Melbourne (27%), Brisbane (10%), Adelaide (12%) were up, while Perth is down 0.52% compared to the first four rounds of 2018, leading to an overall increase in average ratings to 280,000 (+14%) in metro areas. GWS v Richmond recorded 15,000 viewers per minute on Fox Footy and was the only game this week to make it to the VPM charts. Seven doesn’t stream the AFL, and Kayo isn’t counted. The NRL rated 1.2 million in the metro areas. Compared to the first four rounds of 2018, audiences are up in Sydney (33%) and Brisbane (15%), while GEM cities (Melbourne, Adelaide and Perth) trail by 4.2%, leading to an overall increase in average ratings to 12.18% (404,000). 1.9 million people watched the NRL on Fox League, leading to an overall season decrease of just 0.03% on the same time last season. Sunday nights Knights/Dragons game top scored with audiences for 278,000. Eels v Sharks rated 18,000 on Oztam's VPM system, while Cowboys v Raiders (17,000) and Panthers v Tigers (15,000) also rated a mention. Foxtel’s season average ratings dropped down to 35,000 for the year but could be even lower due to the scarcity of data – almost ¼ of the seasons matches have unreported data.